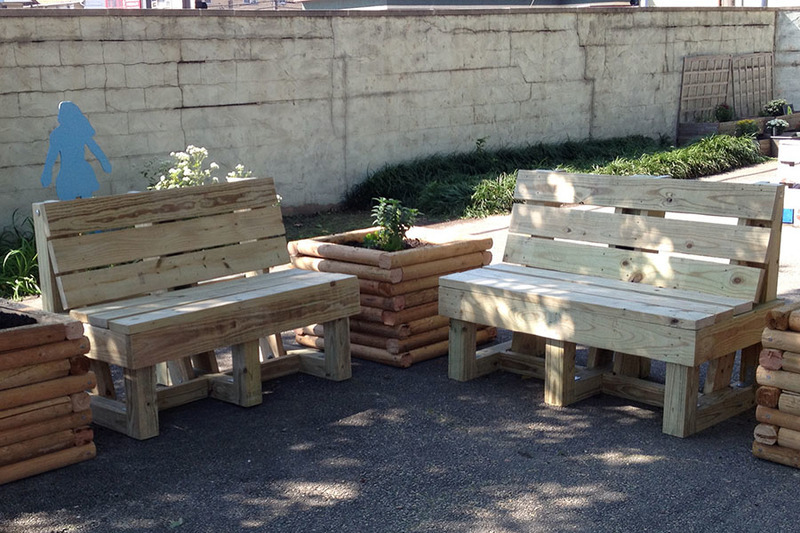 How To Build a Broadstreet Bench | KaBOOM! Adults and children appreciate having plenty of seating areas in and near their playspace. Benches encourage adult supervision when placed in close proximity to the playground equipment. Seating also encourages a sense of community by creating a designated area for neighbors to gather together, much like a “town square." Sort all materials into piles by like item to ensure you have materials needed to complete project. Take  of the 4x4x8' boards. Cut into  19 ¾" pieces. Take the second 4x4x8' board. Cut into  19 ¾" pieces and  18" sections. Take the 4x4x10' board. Cut into  37 ¼" pieces. Take  of the 2x6x8' boards. Cut each into  40" pieces, for a total of  2x6x40" pieces. Take the remaining 2x6x8' board. Cut  26 ¾" pieces from it. Take the  2x6x10' boards. Cut  51" pieces from each, for a total of  2x6x51" pieces. Take the 2x4x8' board. Cut  18 ¾" pieces from it. Take the  2x6x40" pieces cut in step 5. Set the miter saw to 15° and cut the angle off of both ends of each piece, creating  2x4x40" parallelograms. 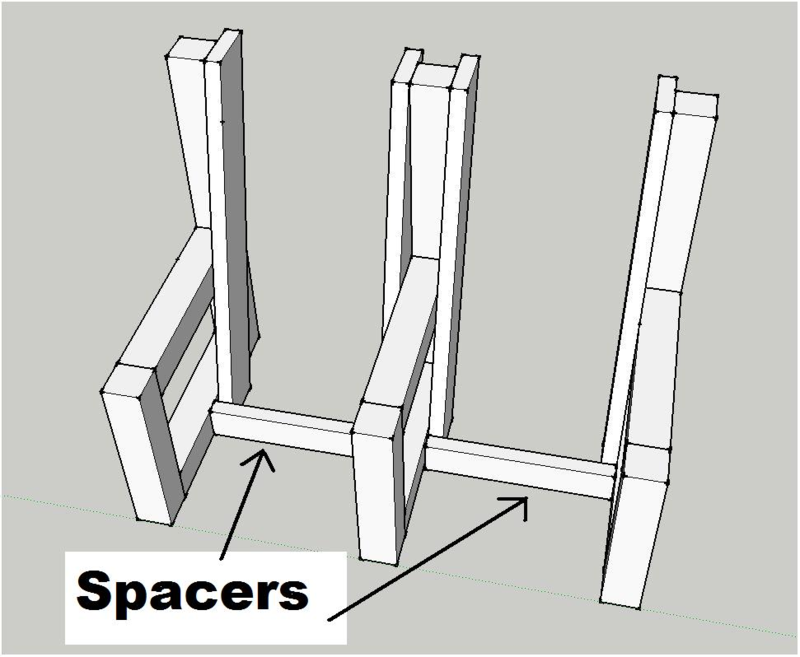 Take two 4x4x19 ¾" pieces and secure  corner braces to them using the N8 nails. 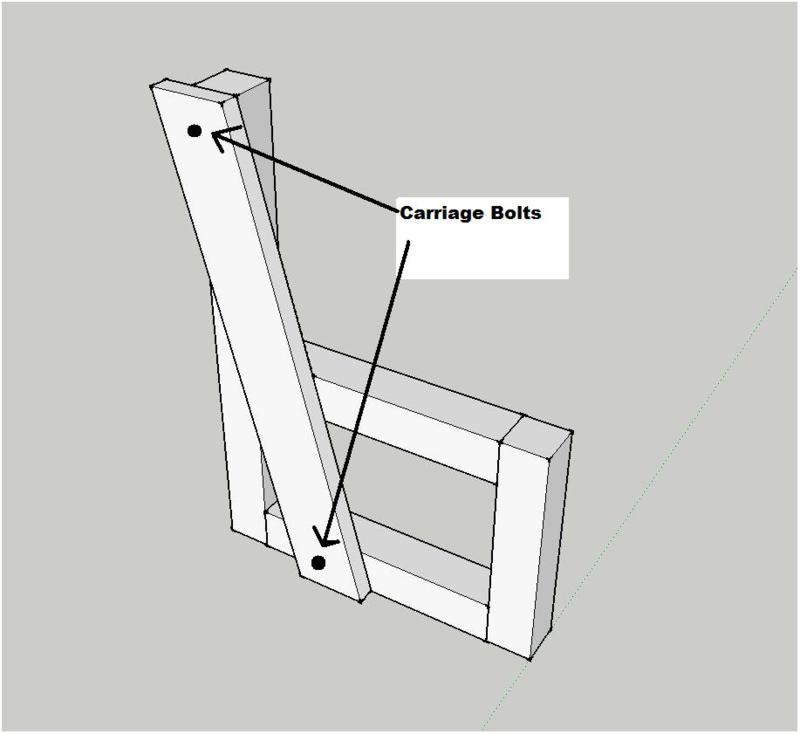 Secure two braces per piece of lumber - both on the same side and flush with the opposing ends. 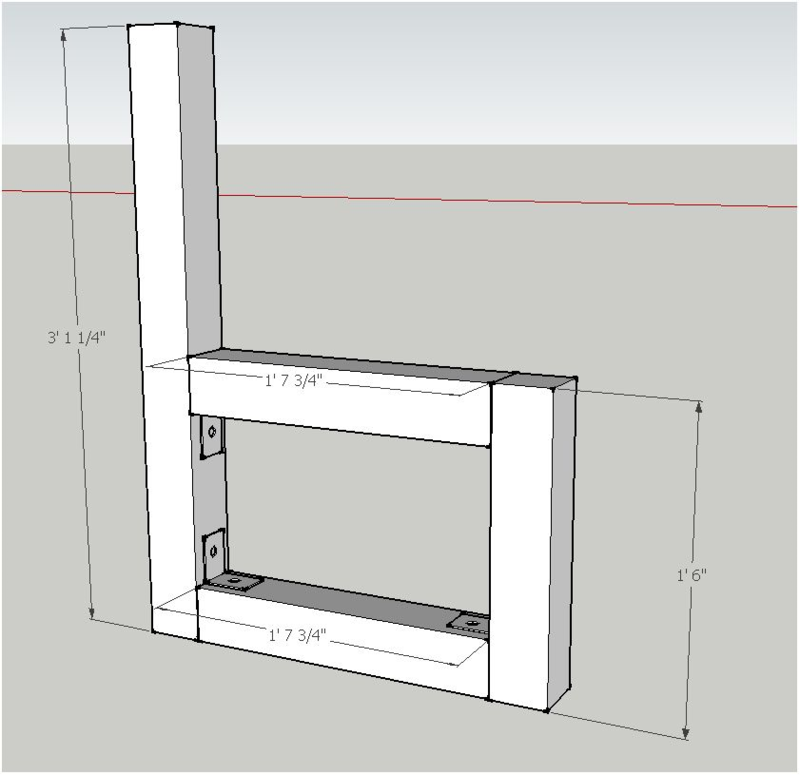 Next, secure one of these pieces between a 4x4x37 ¼" and a 4x4x18" so that it is completely flush along their bottom. Finally, secure the second piece of lumber with braces to close the rectangle. Ensure that this piece of lumber is both flush with the top of the 4x4x18" piece and that it is level as well. Repeat this step two more times so that you will have a total of three seat supports for one bench. Place the 2x6x40" parallelogram so that its upper edge is completely flush with the upper edge of the seat support. Once flush, slide the back support so that the inner corners align. If done correctly the bottom of the 2x6 should naturally be flush with the 4x4 base at the bottom of the support. Using a screw/nail temporarily tack the 2x6 onto the 4x4. Next, use the ½" long drill bit to drill a hole through the top and bottom of the seat support with back supports tacked on. You will be using the 8" long carriage bolts in these holes to finally secure the entire seat and back support together. Then, remove the screw/nail you used to tack it together in step 5. The remaining two pieces of 2x6 will be secured, in the same fashion, to the other two seat supports. 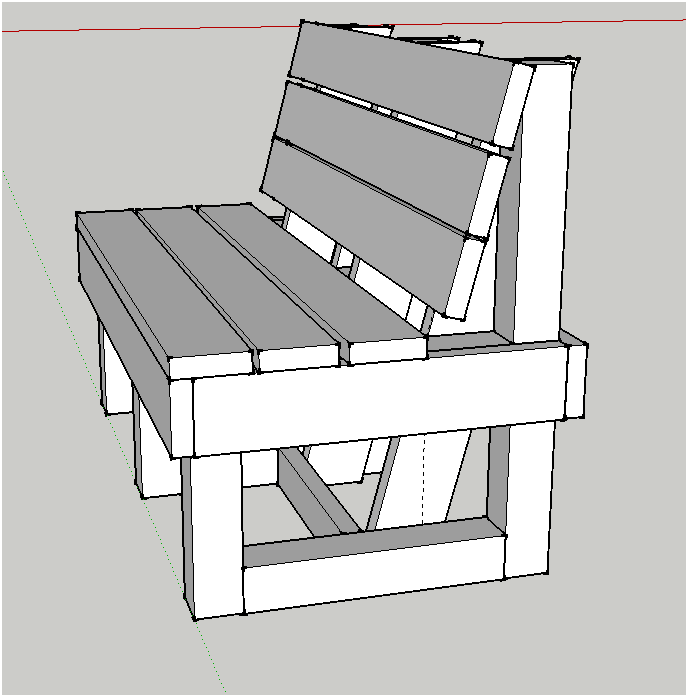 You will place one 2x6 onto the right side and one onto the left side of the two remaining seat supports. Use 6" long carriage bolts to secure these back supports to the seat supports. 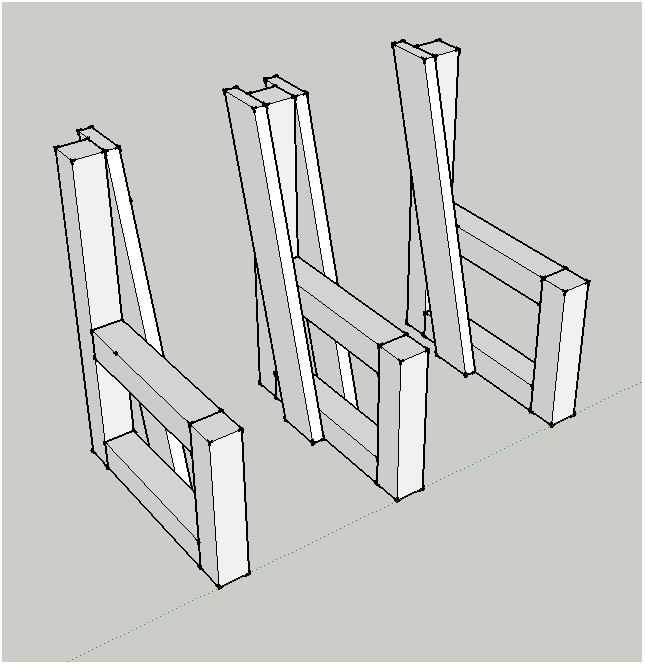 Next, use the  2x4x18 ¾" pieces as spacers between the three seat supports. Measure in 11" from the front of each seat support and place your 2x4 spacer so it sits between this mark and the bottom edge of the back support. Using a 2 ½" deck screw tack it, at an angle, to the 4x4 seat support. The seat supports with single back supports will be your end pieces. The seat support with a back support on its left side will be placed on the right end of the bench, and the seat support with a back support on its right side will be placed at the left end of the bench. To finish securing all of the supports into one full piece, take a piece of 2x6x51" lumber and secure it to the faces of the 4x4x18" pieces. Ensure that the top edges are all flush, and that there is a 1 ½" overhang at both edges of the 2x6. 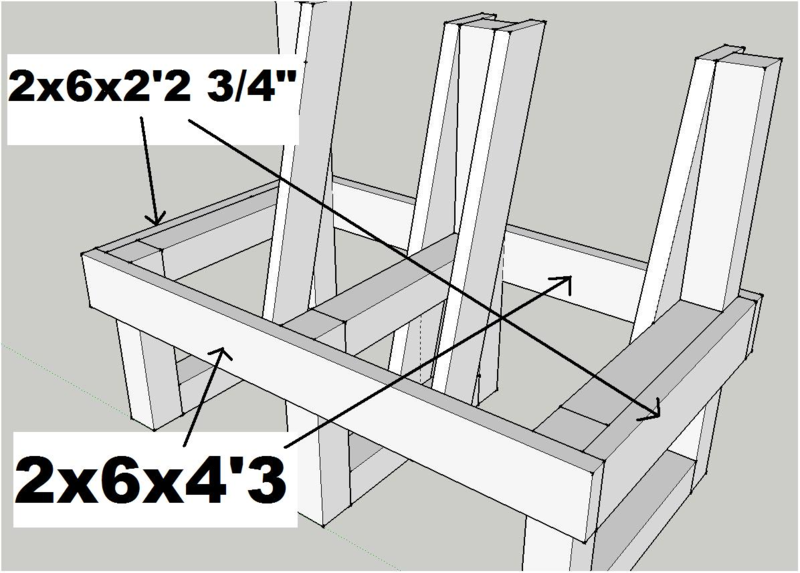 Take two pieces of 2x6x26 ¾" and secure one to each side of the bench. Their back edges should be flush with the side of the 4x4x37 ¼" and their faces flush with the edges of the 2x6x51" (they should be filling in where you left a 1 ½" overhang). 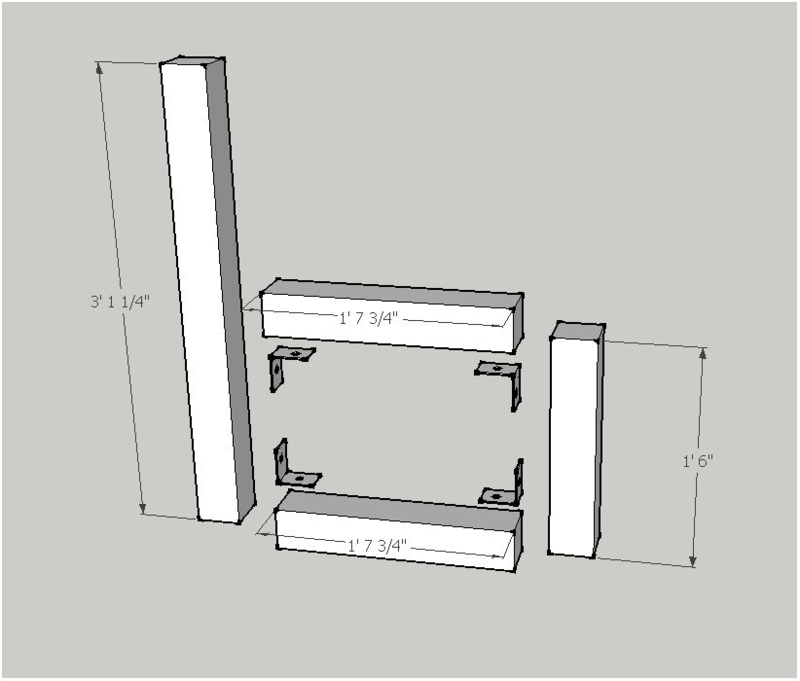 Take another piece of 2x6x51" and secure it onto the back side of the supports so that it is flush and level with the last three pieces of 2x6 you recently secured to the structure. Secure the three 2x6x51" seat slats and three 2x6x51" back slats to the frame.